Those who study CVI have identified a number of different types of visual behaviour that combined together can point to a difficulty seeing rooted in the cerebral cortex rather than the eye globe. In my experience many of these are frequently combined with children who have this diagnosis. Here are a few of them; there are others. When initiating an engagement the CVI child tends to look at an object first, then turn their head away and finally reach out their hand to grab the object. Normally this sequence of actions would be integrated into one action, coordinating vision and body movement. But it seems that the child cannot do actions in a coordinated way; instead they simplify and break down the actions. Normally children are interested in a new object or toy and will reach for it to explore it as soon as it presents itself. The CVI child behaves differently. If something is new or unfamiliar they initially show no interest and in fact may deliberately avoid it. It is characteristic that a CVI child appears to see better one day than the next, in fact their vision can fluctuate from moment to moment. One minute they seem to be looking and the next you cannot get them to look at all. CVI children characteristically like to gaze at bright lights. They may be ceiling lights, window lights, desk lamps or light emitting toys. Indeed one way to gain the child’s attention is to use a flashing light. Lights can be a distraction when you are trying to maintain the child’s attention on an object and there is a bright window light nearby or and strong ceiling light above. Most young children react quickly to a response that gets their attention, but the CVI child will frequently take significantly longer to generate a response. This can be frustrating for parents and workers who sometimes step in too quickly to assist the child. If the eyes are known to be normal then a difficulty in fixing on a visual target and following the moving target should flag up a serious concern. In this case it is likely that there is something wrong in the visual processing areas of the brain. All educational establishments are now required to make ‘reasonable adjustments’ to ensure students with disabilities or learning difficulties are not discriminated against or placed at a substantial disadvantage in any area of school life and associated services. No institution that provides education can treat someone who is disabled less favourably than anyone else because of their disability. By law a person cannot be refused entry because of a disability, nor refused appropriate teaching materials. The fact that children with disabilities have strong legal rights makes it particularly important that schools have accurate, appropriate and precise advice from specialists. I want to point out here what I consider reasonable adjustments for a school to make in anticipation of a visually impaired child attending the school. Most schools have stairs or steps either indoors or outdoors. In these areas there are several aspects to consider when thinking of someone with low vision, such as adequate and appropriate lighting, safety handrails, edges of steps, 71 colour contrast, trip hazards, adequate space for traffic and direction signage. Let me deal with these in turn. Some visually impaired people have difficulty when there is a sudden change in light conditions. People with albinism, for instance, who are significantly light sensitive, take three times longer than others to adapt to a change in lighting conditions. This means that if the ceiling lights in a part of the staircase are blown such a person will be temporarily blinded until their eyes are accustomed to the darker conditions. In the same way if the stairs open out into an area which is well lit by natural window light and the area is south facing, on a sunny day there may be too much light and the person with albinism will again be blinded by glare for a minute or two while their eyes adjust. These are issues that we do not often consider but it affects one in 17 thousand people with albinism every day. In fact many people with a visual impairment are affected by glare or low light so these things need to be considered carefully. In an ideal world architects would have considered this when planning the building but we are not living in an ideal world. Handrails should be on both sides of the stairs, especially if the stairs are wide enough for people to pass in both directions. This is a building regulations requirement. Handrails should be at the correct height. Some nurseries and primary schools fail in this respect as their handrails are adult height and not accessible for smaller people. It is advisable in these circumstances to fit an extra handrail at a lower height. Handrails should also be easily visible. This means they should not be the same colour as the wall; they should contrast in their colour and tone with the background. If the wall is white, handrails should be dark. If the wall is dark the handrails should be a light colour. At the top and bottom of a staircase or a flight of steps, whether it is inside or outside, there is an acute safety issue for someone with poor distance vision, a squint, monocular vision, or poor lower visual field. Spatial location is a common difficulty for children with a visual impairment. Locating the feet on steps and stairs can be a difficulty initially. I would say that it is good practice to introduce a child to a building with no others around so they can familiarise themselves with difficulties and commit to memory navigational and orientation cues. People generally learn routes quickly and it is not unusual for a child to require adult help initially only on one or two occasions. The trained mobility officer is able to provide input if necessary, but even then an assessment of mobility needs and perhaps one session with a child may be enough. Of course if the child is registered blind they may need ongoing support. A school can take some basic precautions which ought to need updating once a year at most. Putting markings on the nosings of steps and stairs is good practice. Some form of contrasting tape or yellow paint can be put on the edge of each step or stair. If something more permanent is required a wooden staircase can have a contrasting section fitted to the edges. Outside on stone steps weatherproof paint is available for this purpose. Another strategy that is often used is a tactile strip starting about a metre from the edge to warn someone of the proximity of the top and bottom of the stairs. This would be a small area of flooring that is different from the surroundings and easily sensed by the feet on the approach to the stairs. By signage I mean room numbers fixed on or adjacent to doors and direction signs to places such as toilets, exits, library, reception and canteen. Light switches and door handles, though not technically signs, also should be clearly visible. A coloured switch box on a contrasting plain background and a door frame in contrasting paint is a sensible strategy for ease of access. Signs need to be at a child’s height for good access. They need to be large, by which I mean at least two or three inches in height. They should contrast by colour with the background. Arrow signs also need to be large and contrasting and positioned at the right height. Signs need to separate from other markings on the wall. Arrow signs for directions or ‘KEEP LEFT’ signs on the staircase is good practice in a school, especially where space is limited in corridors and children are prone to bumping into things. Keeping children walking on the left side of the stairs may need to be reinforced. A young child in a kindergarten or nursery may need their clothes peg differentiated by colour coding and larger signage and perhaps located at the end of a row rather than in the middle. The same applies to storage lockers where such exist; they should be located for ease of access and differentially marked. It is important that floors are kept clear from clutter and obstacles in any space where children move around, which includes classrooms. Trailing power leads on the floor can be a trip hazard. Obviously dangerous sharp corners on furniture in a nursery can be covered or rounded off with a sander. In technology classrooms specialist equipment should be clearly and boldly marked with appropriate warning signs, such as ‘do not use without adult supervision’, ‘danger – scalding water’, or ‘danger – electricity’. An important aspect of the rooms used by children involves the contrast in colours of the furniture. Accessibility is enhanced when tables, chairs and storage cupboards are in contrasting colours to the background. Toilets and washrooms also should have contrasting furniture. Flexible lighting in classrooms is good practice. In any classroom it ought to be possible to turn off some lights but not all. The light over the interactive white board for instance often needs to be off when projecting as otherwise it reduces visibility on the board. Variable lighting is a good idea. Spotlights may be helpful where possible; some people find fluorescent lighting uncomfortable. All classrooms should have blackout facilities to vary lighting levels and cut out glare. Too much or too little lighting can both be bad, but in my view too much light is better than too little. I have been in very modern school buildings where lighting is extremely bright and I have to say I prefer that to some old school buildings where the opposite is the case. In point of fact tinted glasses can be worn indoors by a child who is sensitive to glare. Reactolite lenses are the ideal solution sometimes as they adapt to changing light conditions. On the other hand a dedicated task lamp on the floor or on the desk in a dimly lit older style classroom building can make a big difference to some children. Many of the old school buildings in Britain have high ceilings and woefully inadequate lighting. Windows provide natural light but not enough to read by in most cases. I often carry a light meter when visiting schools to measure light levels and give advice. Light is measured by lux. Building regulations legislation gives guidelines on lighting levels which head teachers and governing bodies should be aware of. Under English law, the Education (School Premises) Regulations 1999, the illumination of teaching accommodation must be 300 lux or more at any point on the work surface - this is usually appropriate in classrooms, libraries and halls. However, the illumination must not be less than 500 lux where visually demanding tasks are carried out, for example, in laboratories. CVI is not easy to diagnose and it may not even be diagnosed initially in the hospital. Nevertheless it is now as widespread a problem as visual impairment is amongst babies and children. What is often confusing to people is that if the child’s eyes are normal how is it the child cannot see? Why does the child not smile back for instance? How can you tell whether a child is visually impaired, cognitively delayed, or if there is something else that is not so easily diagnosable: cerebral or cortical visually impairment? Often a brain scan (MRI) may help to pinpoint areas of damage in the cortex. The region called the parietal lobes is the attention command centre of the brain. This is the area that controls a person’s ability to pay selective attention. Damaged brain cells in this area can be why children have difficulty with attention and are easily distracted. If there is damage in the flow of information from the occipital lobes to the parietal lobes ( an area called the ‘dorsal stream’ ) it can have a significant effect on the child’s ability to isolate and make sense of sensory information, move about and use their vision to guide movements. The visually evoked potential assessment refers to the measurement of a visual signal from the eyes to the brain. Flashing black and white squares appear on a monitor and the child’s response recorded. Observation of the child’s visual behaviour is important and a history taking with the parents is another essential aspect of the diagnosis. CVI is different from ocular visual impairment. Visual impairment is an eye globe issue. It concerns something malfunctioning within the eye itself or the optic nerve leading from the eye to the brain. CVI is an impairment of vision that is caused by damage to the brain tissues. Much of the brain is concerned with some aspect of seeing. Whereas a visual impairment can be measured fairly accurately, CVI is less easy to quantify precisely. It is also quite difficult to manage compared with a ‘malfunction’ of the eye mechanism. An optical aid can give a short sighted person good vision but there is no gadget or device that fixes CVI. A common cause is lack of oxygen to the brain or hypoxia, which can happen during birth or at any point during gestation. The result of poor blood supply to the brain and resultant lack of oxygen is that cells in the brain die. CVI is commonly associated with certain other conditions such as cerebral palsy, microcephalus or epilepsy. Wherever there is brain damage it is possible that some visual difficulties may ensue by the very nature of the functioning of the brain. Thank you Zoe for your contribution to this chapter: Zoe is an LSA working with a registered blind boy in a large mainstream nursery. This week we discussed the boy’s social needs and brainstormed some solutions; hopefully they might help some of the readers in similar situations. This young chap of almost three and a half is very self-focused in his play. It may be partly because he is in a new environment and partly because he cannot see other children’s faces clearly. Beyond a metre detail disappears; so he tends to be isolated in play. He finds it hard to share toys or to take turns. This is not uncommon of course. Very young children are pretty self-focused in their play. But as they grow older most children quickly learn to play with other children, to interact and to take turns. Little children enjoy the social interaction with other children and it is a very important part of growing up. The lad’s problem – we’ll call him Colin for now – is that even after nearly three months he barely knows any of the other children or their names and he does not recognise their voices to know who is there. Colin is not an unsociable little boy. He has older brothers and he plays with them at home and in school. In fact as soon as he hears his older brother’s voice he recognises it and wants to play with him. So the problem is not that he is by nature uninterested in other children. It is just that he takes time to get to know other children by voice, name, face or general appearance and form. And this situation is exacerbated by the size of the nursery. There are effectively two classes put together as sometimes happens, so it is about 50 children. And that is a big task for a little boy, to learn all those names and faces, especially as he is at the moment just attending part-time. Incidentally there is an unusual factor about the context that you need to know and for this reason it may well be not your average mainstream classroom. There is one other visually impaired boy in the class and they seem quite alike in interests and personality, so much so that they often clash. Let’s call this other boy Mark, for the sake of this article. Having Mark in the class is fortuitous and it should be maximised to the full. So here is the challenge and this is what we came up with. Part of the solution is finding one child to be his friend. Instead of allowing the boy to fend for himself in this slightly overwhelming environment let’s help him out a bit. We will choose a friend or ‘playdate’ for him. We happen to be lucky because Mark is in the same class. Put Colin with Mark who has similar interests and aim to make them good friends. We know Mark and Colin have a lot in common. Both have older brothers, both are strong characters, both are quite independent and they fight or compete like brothers. Both like to play with similar things. Both are cognitively able children. If you do not have a Mark in the class you can still choose a child with similar interests and personality. This is important because they do find the noise and general business of the nursery a serious distraction and will definitely benefit from their own quiet room to focus and concentrate on their play. This might involve some changes to the routine of the nursery but it is essential. Also vital to the success of the joint play activity is choosing the right resource, the right game or activity. Find out what toys each child likes to play with. Focus on games that involve a partner, such as matching, building or construction. They must be games or activities that involve large and easily visible pieces. They should be objects that do not have to be lifted right up to the face. It is worth noting that this is often what is missing from the average mainstream school class room in contrast to the special school classroom: the mutual support of peers with similar needs to you. Incidentally if you too are in a school with more than one visually impaired child try to bring them together for occasional mutual support and discussion. To me this makes obvious sense. Of course Colin won’t only be playing with Mark and we do also need to empower him so that he can choose his own friends. To do this he needs to be able to recognise other children. There are two strategies that we came up with for this. So far we have not tried them out but it will be interesting to see how it goes. Select four to six children as his friends. With so many children in the nursery it may be quite impractical or overambitious to use this activity with every child. It might be better to select a smaller group of up to six. How to choose those six? You can of course ask Colin, ‘who would you like to play with?’ Alternatively some observation of the child should suggest a few children that he occasionally interacts with, either in the playground or in the main nursery. Try to get four to six children that he has something to do with to develop the following activities. If this is successful it could then be extended to other children. But it is probably unrealistic initially to expect any child least of all one with limited vision to be able to know everyone. Colin needs to learn the distinctive sound of each child’s voice. He also needs to learn how to filter out other sounds. In other words he needs to develop and hone his listening skills. Visually impaired children rely heavily on hearing. It is not that their ears become extra sensitive, but they use their hearing more than others. So it develops into a more sensitive sense. One way to do this is to use a digital recorder to record each child speaking, upload the files onto the computer in a specific folder, carefully log the name with the voice on the computer and make a game where you have to match the voice with the name. This can be done with the lsa. It can be a one-to-one activity. I am not saying making this will be easy but it is a challenge. I suggest you get some help to develop the game. it may be overambitious to have all the nursery children in the book so select the same six. Make the book out of a loose-leaf binder, so that the pages can be removed for an activity. It goes without saying that the pictures of course need to be very large and clear. Now you can make up some sort of a game where Colin has to match the name with the face. Later you can mix and match the two games and get Colin to match the voice with the face. I think the rationale and underlying idea is sound. Colin needs to learn at least some of the names and the faces and match the voices with the face and name. When he knows the other children he will be able to choose his own playdate. This is a variation on the activity above and it lends itself much more to a small group. It does not involve recordings or pictures. However as a small group activity it would need to take place in a small room, with no interruptions. Limit the game to Colin and three other children. But it can be played with up to six. Sit them in a circle and talk about their favourite food. What do you like to eat? Pin it down to different foods for each child, e.g. sandwich, chocolate, biscuit, pasta etc. When you say the child’s name each person will say what they like. When you say Colin he will say ‘I like pasta’. Then sit one child in front with the others sitting behind. The teacher sits in front of the group and points at one of the children sitting behind and the child will say, ‘I like …’. Colin in front will not see the child but will only hear the voice. So he gets up and looks for the child and touches the child, points to or gives something to the child. Everybody takes a turn calling and everybody takes a turn sitting in front. It need not be food; it can be a favourite animal, anything to connect the children and maintain their interest. This post is both an apology and a cry for help. 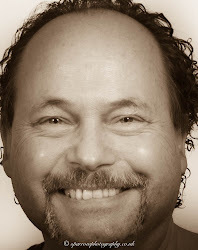 You have noticed that all recent posts on this site have suddenly disappeared half an hour ago. This is because of a freak accident in typing. I was in the middle of editing a new post and accidentally pressed the wrong button and low and behold it deleted every post for the past 6 months. WOW MAJOR CRISIS!!! I have tried everything to recover the files only to find that the bottom line is in Blogger there is no way to recover a deleted post. So I am asking my readers to help. If you have at all a copy of any of the lost posts stored on your computer as history or in whatever form can you send it to me please and i will promise to repost. Bearing in mind the hours and hours all this work represents you will understand my grief !!! 30 Days to BEE Hydranencephaly Aware - Say CHEESE! A Day in the Life of a "G"
Providing access to information, training & resources for schools and parents. You have come to this page for reasons either professional or personal. Whatever your reasons please feel free to enjoy this resource. Visual impairment is a low incidence disability and about half of the people who are visually impaired have brain damage which causes them serious difficulties with operating in the world of the visually competent. I would love to be a catalyst to link up people of all walks of life who have one thing in common - they have been thrown into the world of visual impairment. 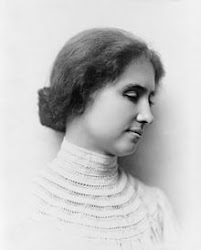 One of the great inspirations to me must be Helen Keller. Helen Keller was not born blind and deaf; it was not until she was 19 months old that she contracted an illness described by doctors as "an acute congestion of the stomach and the brain", which might have been scarlet fever or meningitis. The illness left her deaf and blind. At that time, she was able to communicate somewhat with Martha Washington, the six-year-old daughter of the family cook, who understood her signs; by the age of seven, she had over 60 home signs to communicate with her family. In 1886, her mother, inspired by an account in Charles Dickens' American Notes of the successful education of another deaf and blind woman, Laura Bridgman, dispatched young Helen, accompanied by her father, to seek out Dr. J. Julian Chisolm, an eye, ear, nose, and throat specialist in Baltimore, for advice. He subsequently put them in touch with Alexander Graham Bell, who was working with deaf children at the time. Bell advised the couple to contact the Perkins Institute for the Blind, the school where Bridgman had been educated, which was then located in South Boston. Michael Anaganos, the school's director, asked former student Anne Sullivan, herself visually impaired and only 20 years old, to become Keller's instructor. It was the beginning of a 49-year-long relationship, Sullivan evolving into governess and then eventual companion. Anne Sullivan arrived at Keller's house in March 1887, and immediately began to teach Helen to communicate by spelling words into her hand, beginning with "d-o-l-l" for the doll that she had brought Keller as a present. Keller was frustrated, at first, because she did not understand that every object had a word uniquely identifying it. In fact, when Sullivan was trying to teach Keller the word for "mug", Keller became so frustrated she broke the doll. Keller's big breakthrough in communication came the next month, when she realized that the motions her teacher was making on the palm of her hand, while running cool water over her other hand, symbolized the idea of "water"; she then nearly exhausted Sullivan demanding the names of all the other familiar objects in her world. Measure for Measure – what do the eye measurements really mean? Katie Price reveals the challenges of caring for son with ASD, CVI and a rare genetic disability. What is the difference between an optician, an orthoptist and an optometrist? Ophthalmology is the branch of medicine that deals with the anatomy, physiology and diseases of the eye. An ophthalmologist is a specialist in medical and surgical eye problems. The ophthalmologist is the eye doctor. Since ophthalmologists perform operations on eyes, they are considered to be both surgical and medical specialists. The word ophthalmology comes from the Greek roots ophthalmos meaning eye and logos meaning word, thought, or discourse; ophthalmology literally means "the science of eyes". As a discipline, it applies to animal eyes also, since the differences from human practice are surprisingly minor and are related mainly to differences in anatomy or prevalence, not differences in disease processes. However, veterinary medicine is regulated separately in many countries and states/provinces resulting in few ophthalmologists treating both humans and animals. The seventeenth and eighteenth century saw the use of hand lenses (by Malpighi), microscopes (van Leeuwenhoek), preparations for fixing the eye for study (Ruysch) and later the freezing of the eye (Petit). This allowed for detailed study of the eye and an advanced model. Some mistakes persisted such as: why the pupil changed size (seen to be vessels of the iris filling with blood), the existence of the posterior chamber, and of course the nature of the retina. In 1722 Leeuwenhoek noted the existence of rods and cones, though they were not properly discovered until Gottfried Reinhold Treviranus in 1834 by use of a microscope. The first ophthalmic surgeon in Great Britain was John Freke, appointed to the position by the Governors of St Bartholomew's Hospital in 1727, but the establishment of the first dedicated ophthalmic hospital in 1805; now called Moorfields Eye Hospital in London, England was a transforming event in modern ophthalmology. Clinical developments at Moorfields and the founding of the Institute of Ophthalmology (now part of the University College London) by Sir Stewart Duke Elder established the site as the largest eye hospital in the world and a nexus for ophthalmic research. Purkinje is a known to all ophthalmologists for Purkinje's cells, Purkinje's images. Jan Evangelista Purkinje was a versatile scholar with wide-ranging interests and an exceptional capacity for innovative thinking. He used the name “Purkinje” until 1850, from whence he used the correct spelling, Pyrkyně. We use Purkinje for the eponyms because that is the more common. Purkinje was a Czech nationalist and had a major influence on Czech cultural life in the middle of the 19th century. He was a friend of the famous German poet Johann Wolfgang von Goethe, who wrote about Purkinje: “and should you fail to understand, let Purkyně give you a hand!” Purkinje published a Czech translation of Friedrich Schiller's poems, and translated works of William Shakespeare into Czech. 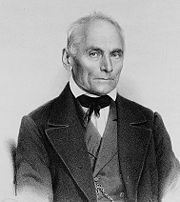 Purkinje created the world’s first department of physiology at the University of Breslau, Prussia in 1839 and the first official physiological laboratory, known as the Physiological Institute, in 1842. Purkinje used to believe that that experiments in one's own body ("in corpore nobili") gave more practical results than those in animal experiment ("in corpore vili") or in fatally ill patients. And when he was a medical student, Purkinje used to investigate the physiology of sight by experimenting on himself with a variety of drugs, including Belladonna. His interest in the physiology of light led him to make animated cartoons, and thus he became one of the earliest motion picture pioneers. He is best known for his discovery of Purkinje cells, large nerve cells with many branching extensions found in the cortex of the cerebral cortex. He is also known for his discovery of Purkinje fibers, the fibrous tissue that conducts the pacemaker stimulus along the inside walls of the ventricles to all parts of the heart. It was Purkinje, who introduced the scientific terms plasma. An early user of the improved compound microscope, he discovered the sweat glands of the skin, germinal vesicles. He recognized fingerprints as a means of identification and noted the protein-digesting power of pancreatic extracts. He died on July 25 of 1868.